Animals that live outdoors instinctively know that in a short period of time, New Jersey weather will be downright freezing, report Monmouth County NJ exterminators. There are many different types of rodents and wild animals that are nimble enough to accidentally (or not so accidentally) find their way inside of a home. Squirrels, rats, mice, opossums, and raccoons are always surprising and unwelcome houseguests. Squeezing into the smallest of holes, cracks, and crevices, critters both big and small will find their way indoors through any breach in a building… some of which they help to exploit. Rodents and other wild animals that find their way into the attic release a pheromone which notifies other critters where the good life is. Before long, there can be critters both big and small living together in a small space. It is very easy for any type of rodent to fall from the beams and become stuck inside of the wall void. Smaller rodents may be heard squealing and scratching in their attempt to get out, while larger rodents may be heard trying to claw their way to freedom. Without human rescuing, these animals will surely perish which will create an unpleasant stench and will attract other unwanted creatures that are attracted to the decaying carcass. A Monmouth County NJ exterminator like Allison Pest Control will be able to safely remove all types of rodents and wildlife from your home. Give us a call today. Fall is the time of year when many types of outdoor animals begin to look for a warm place to bed down for the cold New Jersey winter months. 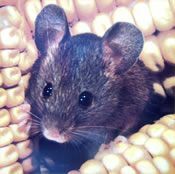 Mice are one of the types of rodents that NJ homeowners must work to prevent entry into their home and work to rid their home of the pests if the critters happen to find their way inside. How do mice come inside? Mice will take advantage of any crack, crevice, breach in foundation, or holes that they encounter as they are scoping out a home. Their tiny structure and their ability to squeeze into spaces that are much smaller than their size makes entry easy even for a full-grown mouse. Mice will also squeeze under doors that are not properly sealed as well as windows that do not close properly. Another entry point for mice that is surprising to most people is through the sewer line. Sewer mice are able to climb up through the sewer pipes, through household plumbing and then into any home. Homeowners should inspect their home for cracks or crevices as each season changes. Seal all cracks, crevices, and holes with cement or metal as mice can easily bite through other materials. Mice can transmit dangerous diseases to humans so it is imperative to contact a Monmouth County NJ exterminator at the first sign of mice in your New Jersey home. The technicians at Allison Pest Control have the skills and training to fully eradicate home invading mice. The Norway Rat (otherwise known as the Brown Rat) and the Roof Rat (otherwise known as the Black Rat) are the most common rats that you will find in North America. They may seem to be harmless when they are sitting in a corner with no place to scurry off to, but don’t be fooled by their seemingly quiet demeanor. 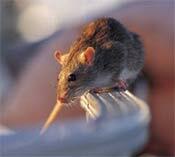 Rats are dangerous pests that should not exist in any type of home or business environment. Rats are commonly associated with urban areas as they are mostly found where food is abundant. Depending on the species of rat, it can live outdoors in burrows that are created underground or make their nests high up in the trees or in bushes. Rats are extremely resourceful creatures that will go wherever they can find food, indoors or out. Despite their preference for certain types of foods, rats are scavengers that will eat most anything that crosses their path. Rats have adjusted well to eating human food and pet food products as well. Rats are primarily nocturnal creatures that live approximately one year. They are prolific breeders and often have large litters which is why rat populations easily become out-of-control in a short period of time. 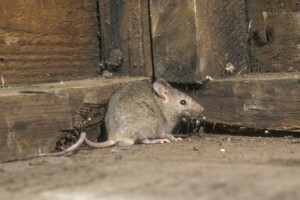 Adult rats can enter a home through a space as small as a nickel. When rats are in the attic, people often report hearing scratching, scampering, and squeaks overhead. Monmouth County, NJ pest control professionals report that you should never use poison to kill rats in a home or business. Rats that eat the poison are subject to a painful death. Dying rats will often become trapped inside of walls, attics, or crawl spaces making them difficult to remove. The decaying carcass will emit an unbearable stench which can hurt a business and drive homeowners to a hotel. NJ rat eradication and cleanup should only be handled by a licensed pest control professional like Allison Pest Control. Call us today for expert rat removal services.